We’ve all heard the adage, “Dress for the job you want, not for the job you have.” For expert tips on the subject, we turned to a fashion industry CEO who knows a thing or two about putting together a winning office outfit. Meet Tina Craig, the self-made career woman who turned her love for handbags into a six-figure business with the launch of her blog, Bag Snob, which has since evolved into the lifestyle website Snob Essentials and its own successful bag line. One of the top tips she shared with us involves knowing your workplace and adjusting your outfits accordingly. 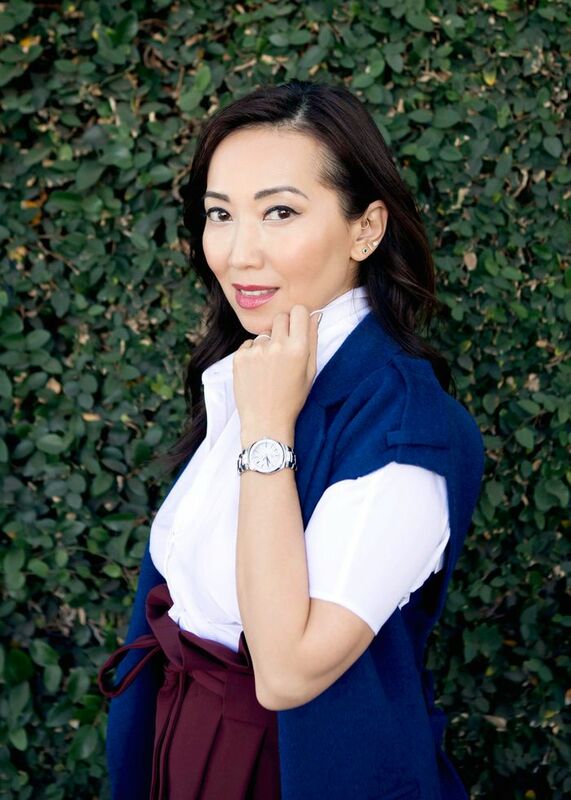 Keep reading to get Craig’s essential power dressing tips, and shop her accessory of choice, the TAG Heuer watch, below. The night before a big meeting, lay out your complete look before dozing off. Craig swears by this time-saving tip: “That way I don’t wind up frantically searching for that exact blouse that goes under that certain blazer and potentially having a morning meltdown,” Craig says. It also frees up the mental space to rehearse your presentation a few more times. While we’re fans of all kinds of prints, as evidenced by our Who What Wear collection, for more professional office settings, Craig feels that prints can be distracting: “You want to be seen for who you are and what you have to say, not for your flashy leopard-print dress.” Instead, Craig opts for jewel tones to make her feel confident and powerful, as well as neutrals like black and navy (yes, worn together!). Do you want your accessories to irritate your co-workers? Craig thinks not. “You don’t want to be that person in the board meeting clinging and clanging her bracelets around, distracting everyone,” Craig advises. “I prefer a singular statement jewel and an elegant TAG Heuer timepiece.” Craig’s accessory of choice also allows you to stay on schedule without checking your phone and entering that all-too-familiar Instagram black hole. Unsurprisingly, Craig is a huge proponent of playing around with different handbags for work. “Bags are the realm where you can have some fun with your office-ready outfits,” Craig explains. “A sharply tailored black suit punched up with a bright red bag equals stylish power dressing.” Plus, a bold bag looks amazing paired next to a sleek, elevated watch. Shop Craig’s ultimate work-outfit accessory below. Instantly add power to any work outfit with a high-design luxury watch. What are the office-outfit formulas that you always turn to? Let us know in the comments below.